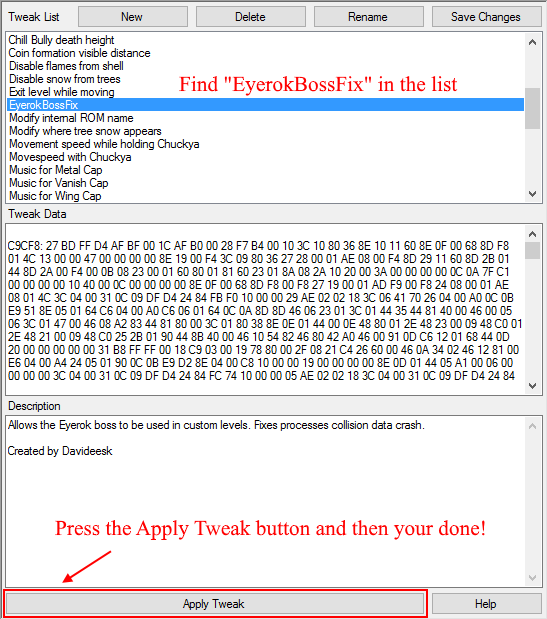 Here is a tweak that will let you use the Eyerok boss in any custom level. Eyerok crashed in custom levels because the game was trying to process his collision data which didn't exist. The actual collision data is located with the SSL level geometry data in segment 0x07. 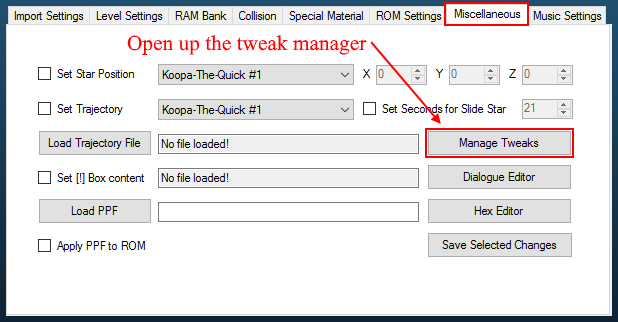 I fixed the crash by optimizing eyerok's ASM code to free up enough data to make Eyerok's collision data become global, so now he should work in any level you put him in. All of the changes I made are self-contained, so this should not interfere with any other code in the game. This patch works with the 8MB ROM, though I haven't tested it on console. You can apply this code by either using the .xml tweak for the level importer, or the ASM source code with CajeASM v7.24. ​Just select your ROM file and the "EyerokBossFix_ASM.txt" source file, then click "Assemble!". That's all there is to it. How easy was that? Wow you've done so much. Thank you for this.